Life in Wonderland: I Heart Hershey Kisses! 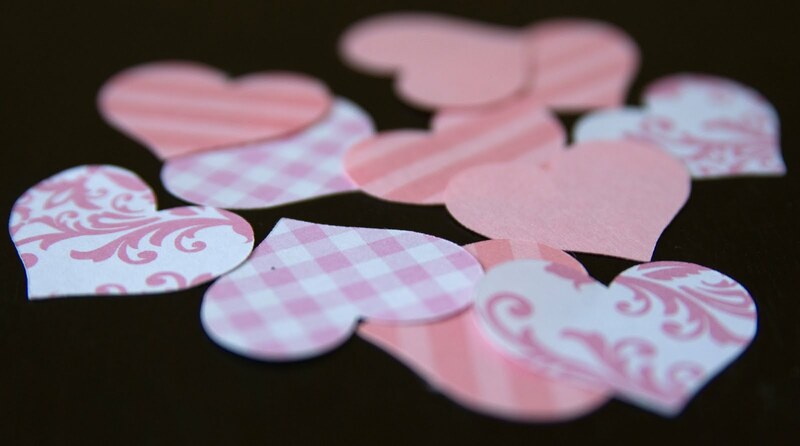 While creating another do-it-yourself Valentine's Day craft (future post), I was left with a ton of small cut-out hearts. My first thought was to go against my hoarder tendencies and toss them out, but they were too stinking cute to throw away! This turned out to be one of the easiest things I've ever made. 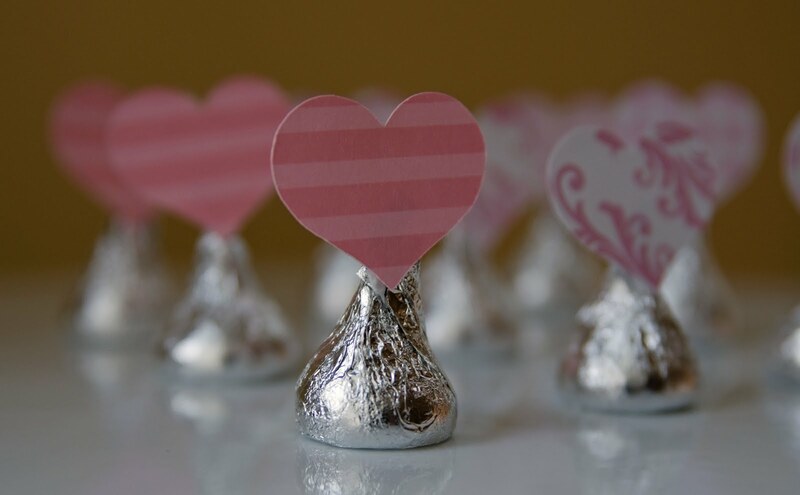 Simply tape the cut-out heart onto the Hershey tag - that's it! Please check back for more easy Valentine's Day crafts soon! These are so simple, yet so darling! Love that! Oh they do look so sweet! You are very creative! Love your blog. I am a new follower. It's our first time here. We are an event planning business too, BUT, from Brazil! Just loved your blog and ideas. Following you from now on. Can you tell us what size the heart cutout is? Very Cute!! love how this turned out!!! These are darling! So simple and sweet! Wow - thanks for all of the amazingly sweet comments...they made my day! 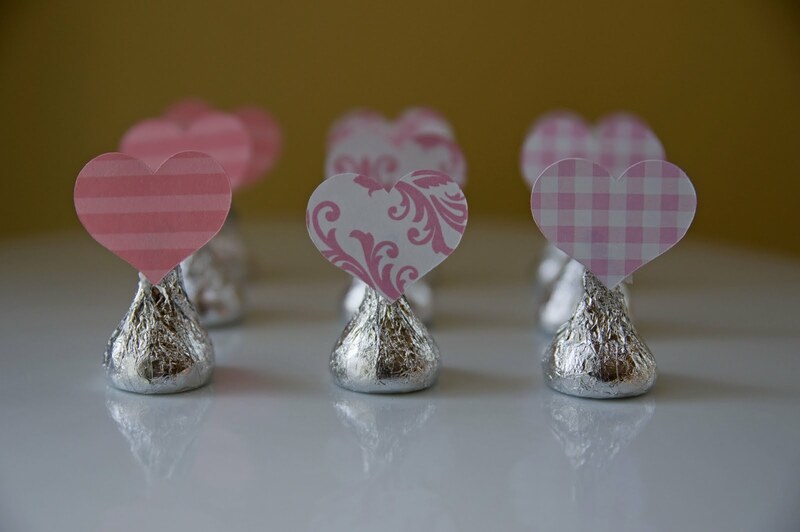 Great idea about using the hearts as placecards - you guys are so cleaver! Brandi - I used a Cricut machine to cut out the hearts...they are 1" high and a little over 1" wide. Special welcome to the new followers - I'm still amazed (and completely honored) that anyone takes an interest in my little blog, but I'm so glad you did! This is such a cute idea!! Thanks for stopping by the other day! I'm your newest follower. So cute and easy, I love it!